In 1998 English language department was divided into the following departments. B.N.Kurmanakunov. Under the head of L.S.Kochkorbaeva. In 2001, the departments of renas were renamed again. Philosophy A.J.Shamurzaev. After it in 2004, department headed by the candidate of philology, professor A.R.Myrzakulov. 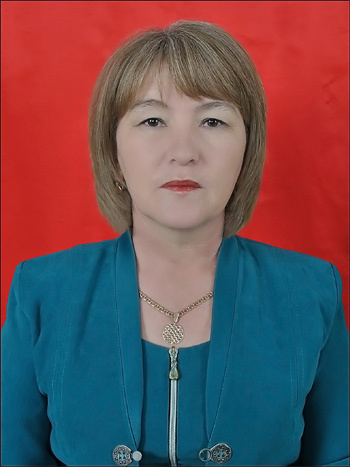 Ph.d. A.O.Kalmuratova has been managigng English language and literature department since 2006. L.S.Kochkorbaeva, B.N.Kurmanakunov, M.Myrzaliev, A.Junusbaeva and G.A.Orozbaeva went to USA and Hungary and got professional development proficiency. In 2009 A.O.Kalmuratova and in 2011 G.A.Orozbaeva defended Ph.d. Senior teachers. She has opened a club, which is called “Bridge”. It is a good idea to complete the study of students; L.S.Kochkorbaeva, 1A.J.Joroeva 1 ling phone room. In these rooms, students will get ready for the practice lessons. The material well-being of the department consists of 80-90%. This is a study of the international literature. B.N.Kurmanakunov has been working in the US Peace Corpssince 2002. However, our teachers gained experience. More than 15 manuals, 30- teaching methodological Instructions, nearly 100 scientific articles were published. The honor of faculty- 26. Bachelor degree, there are 8 groups. The contingent of the each group is about 30 students. Foreign students from Africa, Turkey, Uzbekistan and Tajikistan are studying. It is a school year.